President Mr Seng Kok How has been re-elected at the Seng Clan 15th Annual General Meeting on 7 August 2010 for a second term. This is a mark of confidence in his ability and leadership to lead a younger team in the 21st century. Regeneration of leadership has taken on a new impetus as many of our members have advanced in age. It is time for a 3rd generation of leaders to emerge and to carry on the tradition, value system and our roots. The New Team comprises many new faces from the younger generation taking position of responsibility. In this way, we hope that the Clan will remain relevant and continue to survive for many good years. 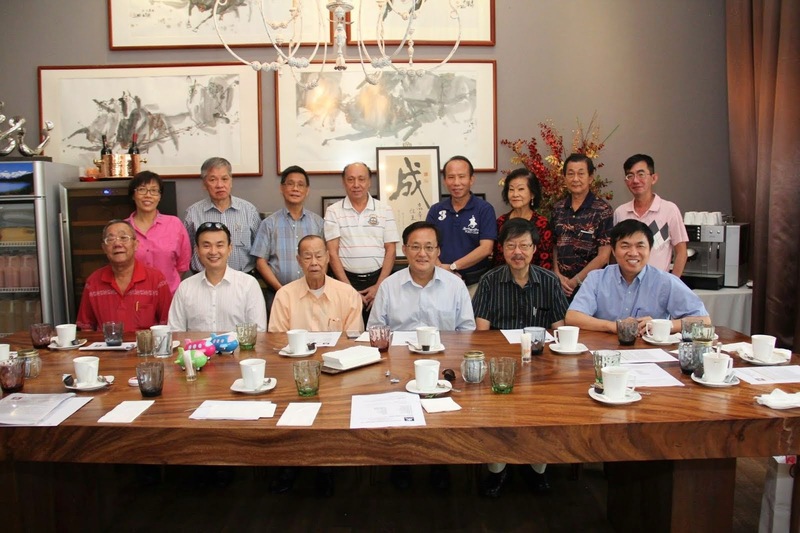 SENG CLAN ASSOCIATION(SINGAPORE) MANAGEMENT COMMITTEE 2010/2011 President Seng Kok How sengkh@intraco.com.sg Vice Presidents Seng Joo How seng.joo.how@cpgfm.com.sg Seng Chun Guan seng_cg@hotmail.com Secretary Chris Seng Bock Chuan chrisseng@ntucmedia.org.sg Asst Secretary Michael Seng Miang Huat Treasurer Peter Seng Hong Nguan engsengtvl@pacific.net.sg Asst Treasurer Sung Yoon Chon ycsung@uobkayhian.com Honorary Auditor Seng Kok Cheng Committee Members Seng Kee Song Mary Seng Seng Ting Kiang Richard Seng Soon Kia Seng Chai Kok Jacqueline Seng The Seng Clan warmly welcomes the new Management Committee for the new term and look forward to many great years ahead.